Litecraft has hundreds of lighting solutions to make your home inviting and stylish during the colder months. Chandeliers add glamour and grandeur to any room. The dark nights may be drawing in but it’s the perfect excuse for cosying up and creating a perfect, warm and snug home interior. One way to do this both simply and affordable is by selecting the right lighting. And Litecraft at Gorse Mill and in Manchester city centre is home to a huge choice of unique and everyday lighting. Chandeliers are ideal for creating an inviting ambience and are a very popular choice with both traditional and modern styles available. designs and even multicoloured chandeliers. This stunning Marie Therese chandelier allows you to achieve stately home style without the need for an aristocracy bank balance. This quirky and totally contemporary take on the traditional chandelier would be a great centrepiece for any living room, dining room or bedroom. ODP £99, Litecraft price £59. Cast in acrylic, the chandelier erupts in a shower of multi-coloured droplets from the central column, diffusing subtly coloured light into the room. This is a truly eye-catching product that would look just perfect for the festive period. You can even transform a chandelier by changing the light bulbs to flicker bulbs, which give the effect of real candlelight or try whispy bulbs for an elegant twist. You can also ensure your chandelier helps save energy by using LED candle bulbs or low energy compact fluorescent candle bulbs – all available at Litecraft. 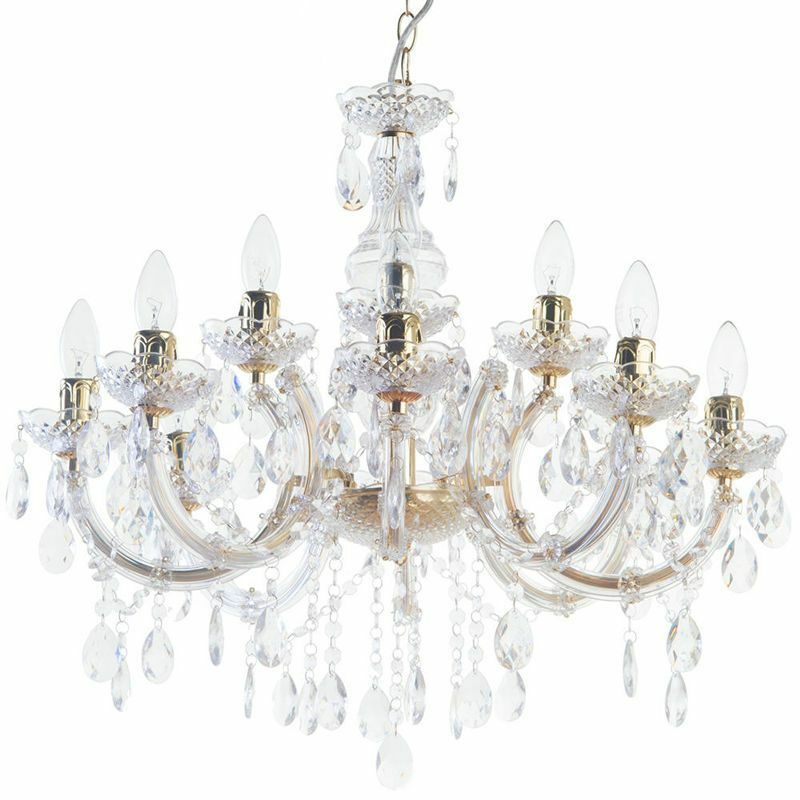 Extra chain can be added to your chandelier if you have high ceilings and flush chandeliers are available if you have low ceilings. Bring light into your living room, illuminate your dining room or dim the lights in your bedroom… whatever lighting project you have, you’ll be sure to fulfil your requirements at Litecraft – and with up to 75 per cent off high street prices, your project is certain to be an affordable one.